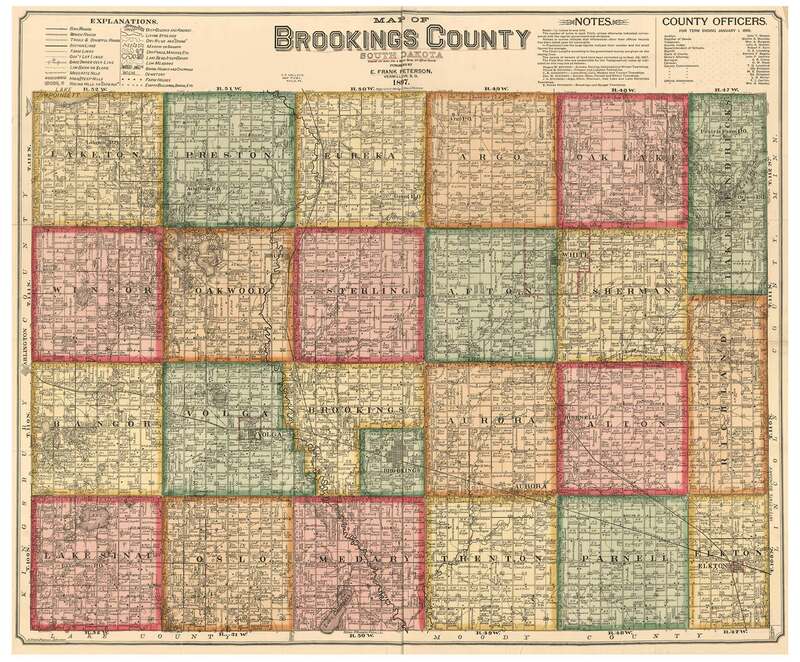 Click the button below to add the Brookings County South Dakota 1897 - Old Map Reprint to your wish list. Note - Some text will not be legible on the smaller prints, but the map still makes an attractive wall display. Consider the size of the original map when you order. A print 75% the size of the original should be fully legible. Prints 50% the size may be legible with a magnifier. Publisher/Engraver - E.P. Noll & Co.